Who says you have to give in to middle aged spread? 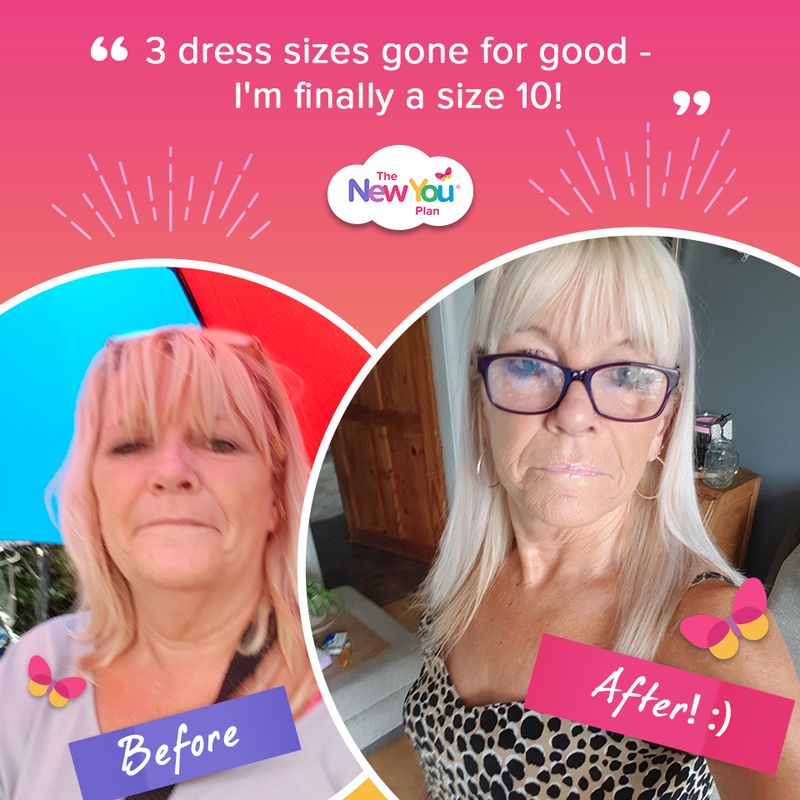 Here, customer Carol shares how she felt before she hit 50 and how The New You Plan helped her lose 2 stone 6lbs in 3 months. Approaching 50 is when it is generally accepted that a bit of middle-age spread is normal, inevitable even. Better get used to those elasticated waistlines, ladies (and gentlemen, too, if the back pages of certain magazines are to be believed) as it’s all downhill from here. Well, our customers at The New You Plan are proof that is nonsense. You can be slim at any age. When our customers come to us they have usually tried every diet going and as a result their weight has yo-yoed for most of their lives. Up and down they would go, as if strapped to a roller coaster, only a lot more depressing. For New You customer Carol it felt as if she was destined to always be on the diet roller coaster. 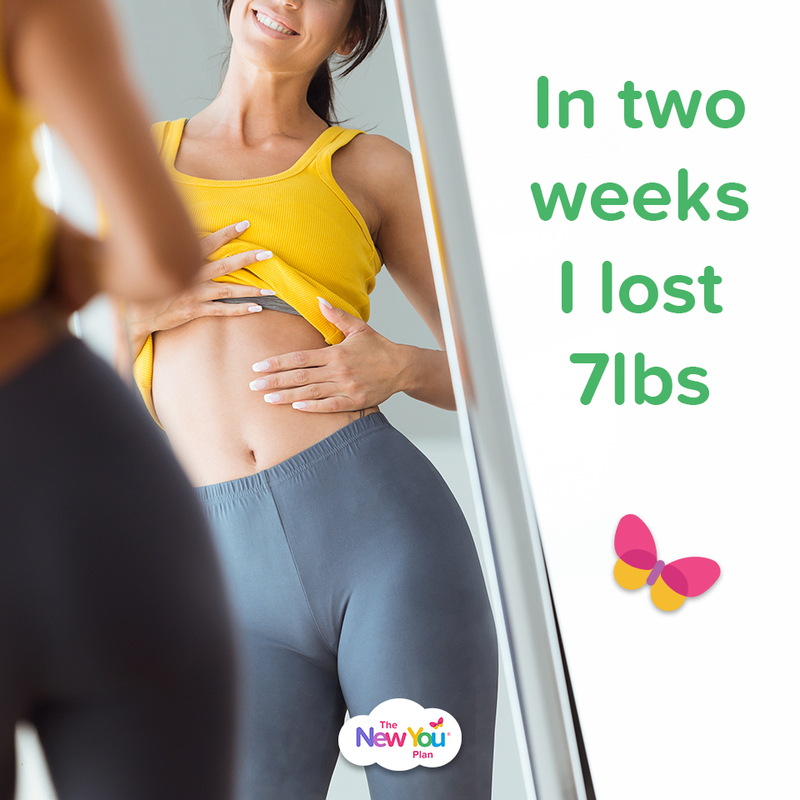 “I genuinely felt as if I was doomed always to be on a diet, falling off a diet or eating for two because I was getting ready to go back on a diet again. Every day was filled with mental negotiation about what I would or wouldn’t eat or should have eaten or was planning to eat. I would torture myself with thoughts of ‘middle aged spread is to be expected’ vs ‘I just want to be slim and healthy’. Quite a few of my fellow 40-somethings had simply gave in, reasoning that by 49 you have to choose between your face and your bottom, and they’d rather have a younger, plumper-looking face and a fatter bottom. Maybe I should just accept the rolls around my middle as part of who I was now? 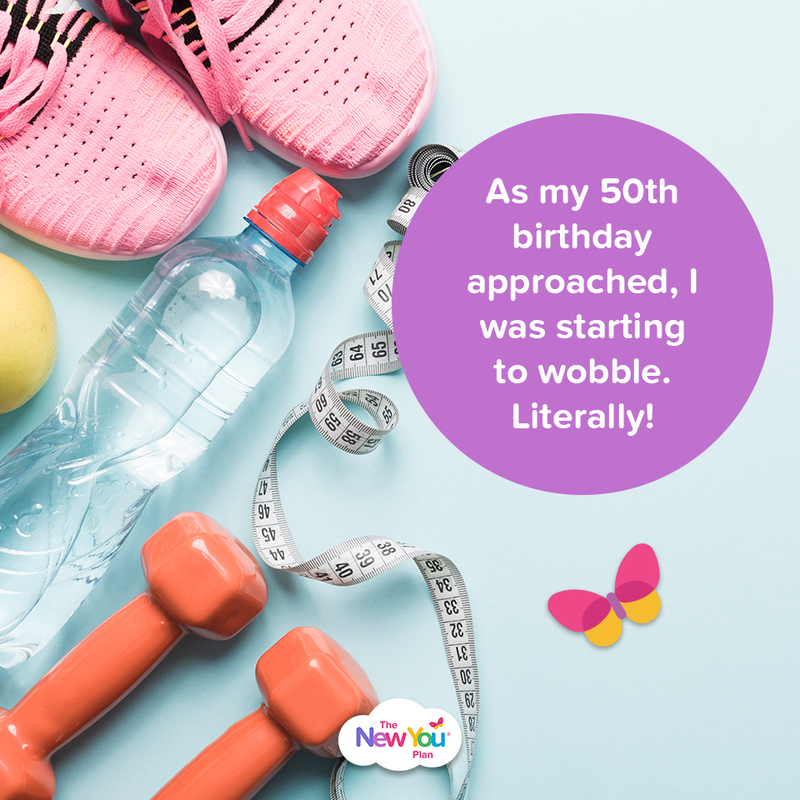 Even so, as my 50th birthday approached, I was starting to wobble. Literally. I was eating well, but I was still 2 stone overweight. Many of my friends were also starting to fill out. The dreaded word ‘menopause’ began to be bandied about. Some moaned about it all being downhill from here and poured themselves another consolatory glass of wine. My family had planned a big 50th birthday party for me and it was as I was frantically searching for something to wear that would cover my tummy, hide my arms and make my thighs look smaller that I started to get angry. Why should I accept that 50 meant middle age spread just because everyone else did? I just needed to find a diet that would work for me. A woman at work had lost quite a bit of weight so on Monday morning, I gathered up my courage and asked her how she had done it. I was always looking for the ‘miracle diet’. You know the one where you can eat everything and still lose weight? Maybe she knew something I didn’t. 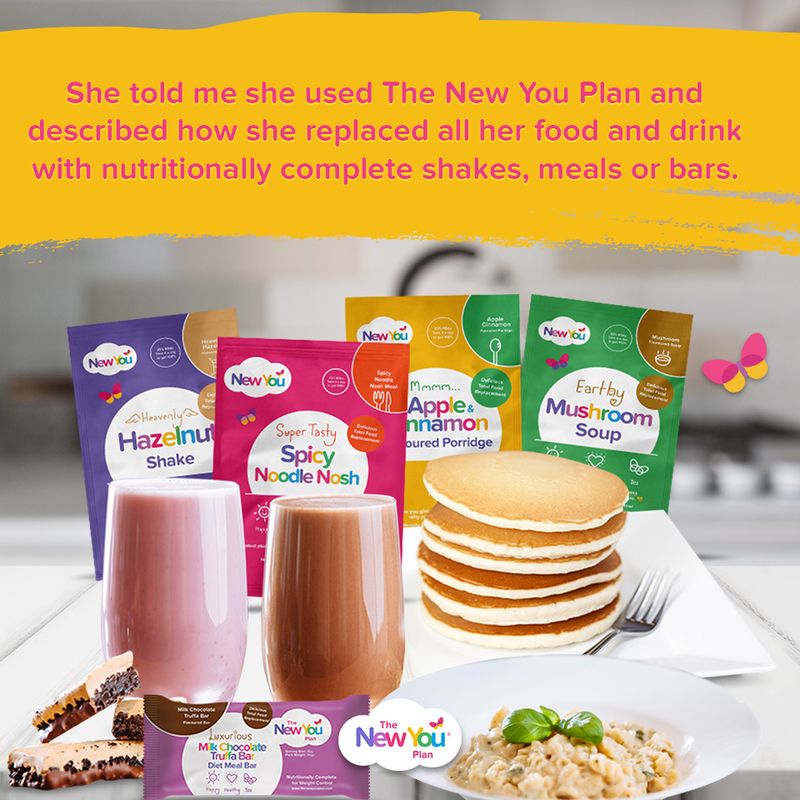 She told me she used The New You Plan and described how she replaced all her food and drink with nutritionally complete shakes, meals or bars. My heart sank. How on earth would I be able to do that? But the more she spoke about the plan, about how she never felt hungry, had more energy and had lost 3 stone, the more I wanted to try it. A little flicker of hope appeared. If she could do it… maybe I could too. I phoned up the New You Customer Service team to try and get some ideas of what to order. I was terrified of the food being horrible or of choosing the wrong thing! The man I spoke to was really helpful, and helped me choose a 2-week pack to get me started. He went on to say if I didn’t like any of the packs in my first order I could exchange them. Feeling reassured, I couldn’t wait to start. 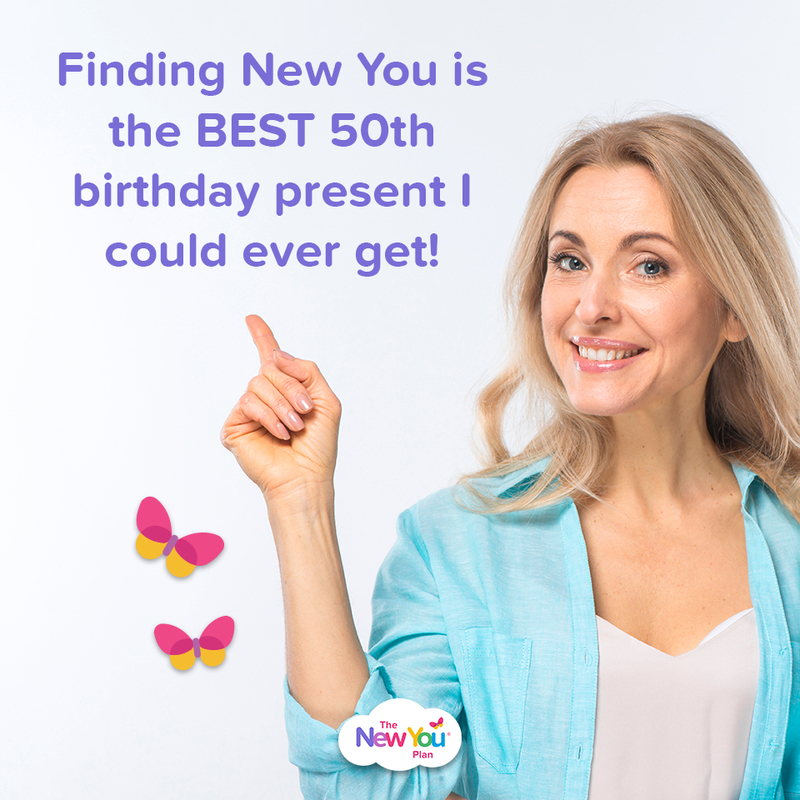 I began my New You journey just 3 months before from my 50th Birthday. The first few days were tricky as I was so used to eating what I wanted when I wanted but the fact that the food was delicious helped a lot. In two weeks I lost 7lbs. I then ordered a month’s supply determined to keep up the good work. In total I lost 2 stone 6lbs in 3 months and now as I am approaching 51, have still maintained the loss. The fact that I wasn’t eating all the time helped me figure out where I was going wrong all these years. For example, I now know that I can’t just have 1 spoonful of ice-cream without wanting the entire tub! It’s the same with pasta. So, rather than trying and failing to eat these foods ‘normally’, I simply avoid them. 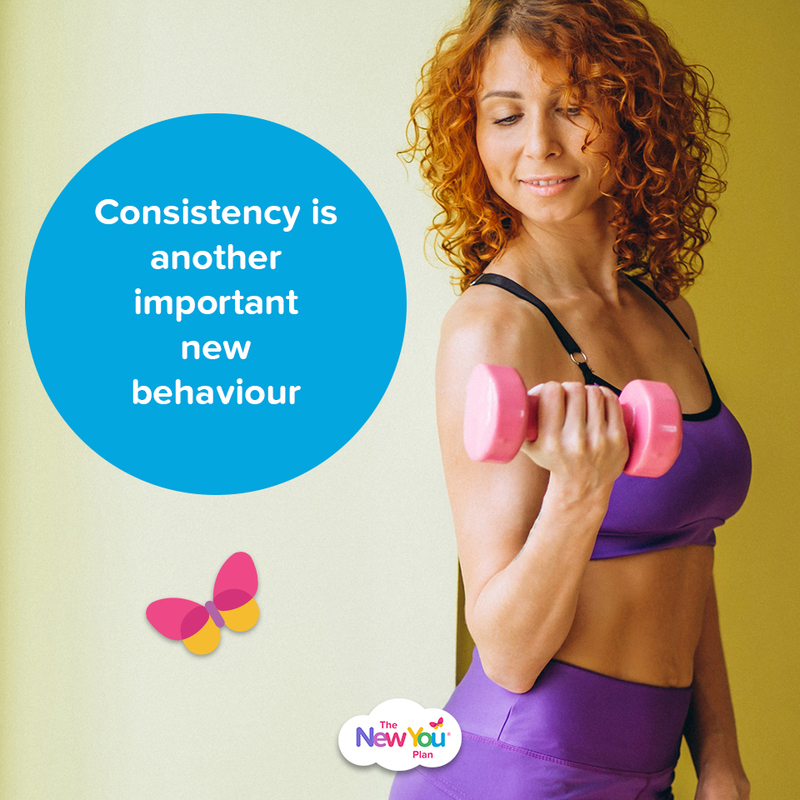 Consistency is another important new behaviour. In my fat days, I used to go on a diet and either cheat or fall off it. Today, I keep it simple. I know if I am out for a 3 course dinner one evening, I simply eat slightly less the following day. The New You plan showed me how to introduce these behaviours into my everyday life. Your 50s is your time to take everything you’ve learned about yourself and design a life that you love. Maybe that means making a few tweaks, or perhaps it means overhauling everything and “starting over.” You get to decide what the life you crave looks like and then have the power to make it happen. 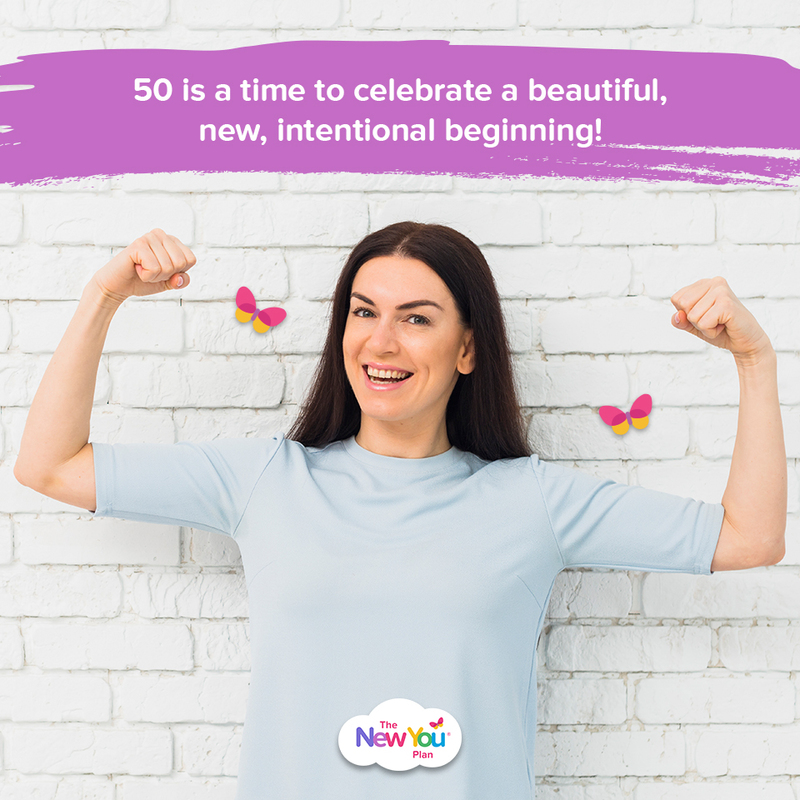 50 isn’t to be feared…50 is a time to celebrate a beautiful, new, intentional beginning. We would love to be part of that New You. For more information, click here to GET STARTED. ← 5 Top Tips to Self-care to make sure YOU are your number 1 priority!